We want to call out something that’s really messed up in sorority-land: feeling like COB means your chapter is somehow broken or less-than. For too many sorority women across North America, if your chapter finds itself in a position to do COB (Continuous Open Bidding a.k.a COR a.k.a. year round recruitment), you can feel a sense of shame, embarrassment, and failure. If that feels even vaguely familiar, please read on. We have some important things to share. You are not alone. We’re seeing a quickly growing level of “vacancies to total” across the industry and across all Panhellenic organizations. This is real. There are lots of reasons for it, but based on what we can tell, over half of chapters have been in a position to COB in the last few years. COB Puts You In Control. When you are recruiting beyond the formal recruitment process, you have control. You get to choose where you seek out prospects. You get to decide how long it should take to build relationships and evaluate whether a woman is qualified for membership. You get to be in control of the whole process. While formal recruitment has lots of benefits, a lot of that process is out of your control (including who the pool of PNMs is in the first place). COB Isn’t About You. It’s easy to feel like the opportunity to COB means people don’t like you, or you aren’t as popular as other chapters. We’d like to offer a different perspective. It isn’t about you at all. COB isn’t about getting “enough” women or making sure your chapter keeps up with the women next door. COB is about the women on campus who would never have even sought out sorority but will find it to be transformative for them. Excel at COB as a chapter for the benefit of the young women on campus whose lives you’re about to change. COB Is More Aligned With Generation Z Needs. Have you given thought about how to recruit the newest generation of students differently than we used to recruit? You’re going to want to read this blog (and watch the accompanying video). Recruitment Was Never Supposed To Be A Competition. Formal sorority recruitment was engineered in such a way to take the competition out of the process. Of course, that’s not always how it shakes out. But for sure recruitment isn’t a win/lose game. Great recruiters understand its about “fit.” And if the amount of women who found “mutual fit” with your chapter during formal recruitment doesn’t match up to the amount of new members you’re seeking, that’s about the pool of members not you. Go find the women who do fit! We’ve somehow made the idea of COB to be toxic. It’s not. Continuous recruitment is smart; not toxic. It’s generous and authentic and likely to attract stellar leaders. It’s deeply aligned with our organizations’ historical roots and our values. Build a plan to MEET as many of the right non-Greek women as possible. We have LOTS of ideas to help you meet non-Greek women. Click here. This is the most important of our 5 tips. Remember, “you can’t recruit who you don’t know.” Plan to meet at least 10x to 15x the amount of women you hope to recruit. Build a plan to RECORD and manage information about PNMs. Build a plan to consistently INVITE PNMs to opportunities to connect. Build a plan to generously HOST PNMs in multiple ways that build connections with the chapter. Coffee dates. Study nights. Yoga on the quad. Information Sessions. Service/philanthropy events. Sporting events. Weekend excursions. Open chapter/sisterhood events. More coffee dates. You get the idea. Stuff you do in your normal not-at-the-sorority-house life. Every week there should be two group/chapter “events” planned and lots and lots of one-on-one meetings/coffees/lunches, etc. Most PNMs need between 3 and 8 experiences (that move them thoughtfully from 1:1 to small group to chapter event) before they are ready to commit. Build a plan to ASK PNMs to join in a way that honors them and secured commitment. First of all, every woman you’re recruiting deserves an opportunity to have a real, serious, honest conversation about the expectations of membership, their concerns, and whether or not they’re ready to commit. This is called a pre-close conversation, and in COB it is completely appropriate. Make sure you’re genuine and honest and honor her decision-making process. Then, when you’re ready (your chapter has determined the PNM is qualified for membership and you want to give her a bid) and she’s ready (she’s said “yes” when you ask “If we gave you an invitation, would you want to join?”), ask her for commitment in a special way. She deserves this life-changing moment. For the past few years I’ve been presenting a program titled, “Drone Shots & Glitter: The best and worst sorority recruitment videos and what we can learn from them” on campuses and at conferences around North America (want me to present to your community? E-mail matt@phiredup.com). This program has become one of my favorite things to present. And every year, a whole new batch of sorority recruitment videos is ready for review and reflection. Before I move on, let me say this clearly… I LOVE ALL OF THESE VIDEOS. As a marketer and as a values-based fraternity/sorority professional, I think these videos are truly amazing. There are three big reasons why I love these videos. IT TAKES GUTS TO MAKE THEM. Each of these videos was created by a college sorority woman (or one led in the execution of the production). Each of these videos was shared publicly on the internet. Each of these videos will almost certainly be ridiculed by someone — internet trolls, other chapters, and probably some shallow sisters who don’t appreciate the guts it took to lead this project and bring these videos to life. So, to you women who created these… YOU ARE AMAZING! I admire your courage and your art. THESE ARE TRUE EXPRESSIONS OF VALUES & WINDOWS INTO INSECURITIES. The idea of sorority is recreated everyday in the real lives of its members. Today’s undergraduate women are different from those who have come before them. They care about different things, they live in a different world, and they have new ways of living out their values. These videos are real, they are today, they are now. These videos are also excellent windows into the insecurities and struggles of modern women — and there’s nothing wrong with that. As college-aged women struggle with body-image concerns, mysogynistic cultural norms, a desire to fit-in and be liked juxtaposed against a desire to be authentic and true to themselves, and all sorts of other incredible challenges in today’s world, they’re trying there best to demonstrate confidence, pride, and passion for their organization. These videos truly are amazing works of art if you know and understand sororities like we do. With all that said, check out a handful of our other past and present favorite sorority recruitment videos. Ask yourself the two questions we listed at the beginning of the blog as you enjoy each of these videos. We’ll even include a couple non-Panhellenic videos in here too just for fun. After you’ve watched these, scroll down for our top 5 tips to make your sorority recruitment video great! MAKE IT ABOUT THEM, MORE THAN IT IS ABOUT YOU. Great marketing is about the audience. Viewers (especially the ones you care about most) should see themselves in the video. This isn’t a video to make you feel good about yourself and your chapter, it is a video to inspire PNMs to be curious about your chapter and your members. The viewer should feel right in the middle of the video — not like they’re watching a show about you, but like they’re immersed in their future reality. SAY WHAT YOU’RE ABOUT, NOT WHAT YOU’RE NOT. You know all those videos with sorority women writing “I am not a stereotype” on their hands, and then showing it to the camera? Don’t do that. It just reinforces the stereotype. Instead, be about something. Make the video clearly communicate who you are, not who you’re not. EMOTIONS MATTER MORE THAN LOGIC. Do not try to bullet-point your way through the video with stats about how great your chapter is, how many philanthropy dollars you’ve raised, and how many service hours you’ve given. Joining a sorority is not a logical decision, it is an emotional one. PNMs decide to join a sorority because the women in it make them feel safe, loved, and like they matter. DON’T BE A REAL ESTATE AGENT OR EVENT PROMOTER. Cool house. Neat party. Move on. Seriously. You have more to offer than nice real estate or a great event. BE REAL. SERIOUSLY. STOP FAKING IT. We can see right through our in-authenticity. If you’re not the coolest, hottest, richest, flashiest chapter on campus (and you’re probably not), don’t try to sell that. Show you. People join people. People don’t join perfection (they’re intimidated by it), they join real people. Just like you did. Just like you hope every PNM will. Make your video overflow with authenticity. We’ve got many ways to help your chapter, council, or community grow, and one of the first tools we point students to is our FREE RESOURCES. That’s right, we give away A TON of incredibly helpful tools to help you get started RIGHT AWAY on seeing incredible growth results! Currently our website is “under construction”, and our Free Resources might be a little difficult to find. As we work on creating an amazing new website experience for you, you can still access the Free Resources on our old website by clicking here. Need more help? Let us know! We’d love to work with you to help get you “on system” to become a high performing fraternity/sorority chapter, council, or community! 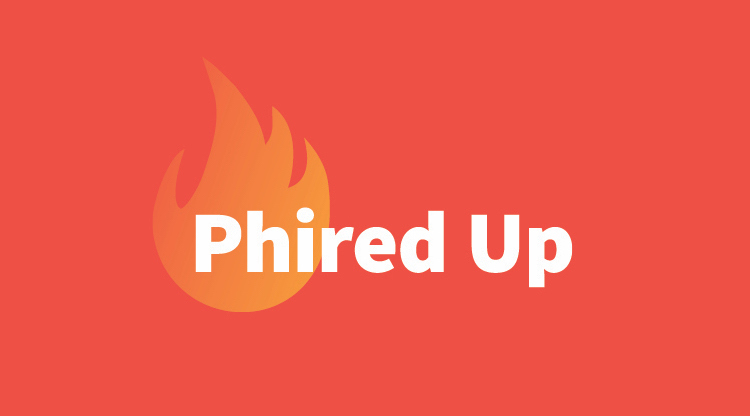 Reach out to us today at info@phiredup.com.